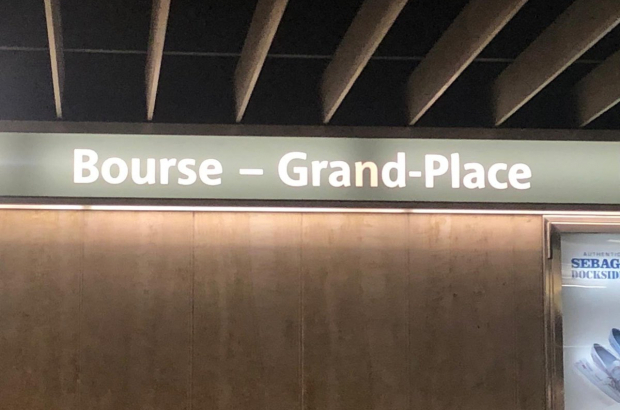 Bourse pre-metro station in downtown Brussels has been renamed - to make it easier for tourists looking for the Grand-Place. After a request by Brussels mayor Philippe Close, public transport operator Stib has officially renamed the station "Bourse - Grand-Place". The new naming was introduced this week, as the finishing touches are made to a major renovation of the station, which is due to be inaugurated on 7 February. Close said the name change had been made "in order to facilitate transport around Brussels". He thanked the Stib and Brussels mobility minister Pascal Smet "for listening and for their responsiveness". The renovation includes a newly redesigned mezzanine level between the street and the tram platforms, better lighting and lifts. A new space will also be dedicated to works of art. The new-look station should also smell better. "Despite being cleaned several times a day with disinfectant and odour neutraliser, the station smelt bad," Stib said. "The problem persisted because the odours were embedded in the concrete. Large-scale work was therefore more than necessary." And... "Beurs - Grote Markt"! The Bulletin systematically "forgets us", Flemish-Belgian citizens! Flemish speakers account for about 3% in Brussels of the Brussels population - or perhaps 5%? So we do count. And as Bunburyist correctly says, Bulletin is for expats, not for Flemish speakers. Do you have figures about how many expats in Brussels master Flemish?